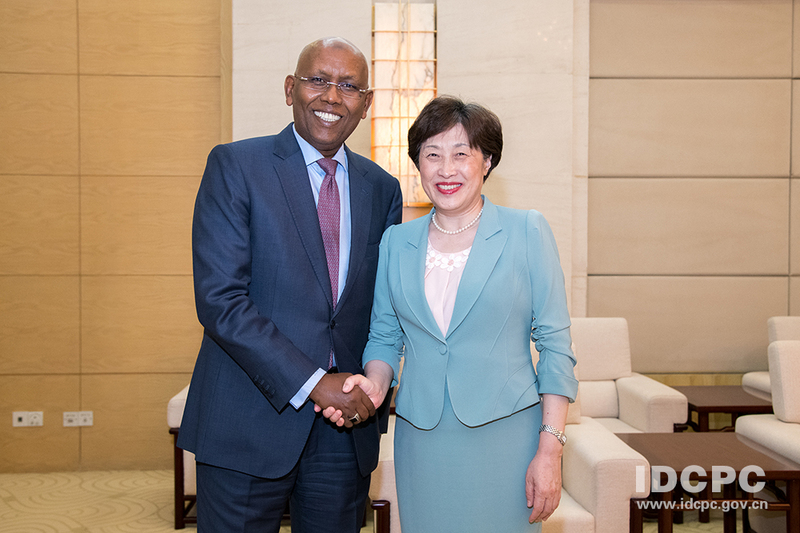 Beijing, July 31st--Xu Lyuping, Vice-minister of the International Department of the CPC Central Committee, met here today on the afternoon with Ilyas Moussa Dawaleh, General Secretary of the People's Rally for Progress (PRP) of Djibouti. Speaking positively of relations between both countries and both parties, Xu expressed that the CPC is willing to make joint efforts with the PRP, so as to push China-Djibouti strategic partnership for greater development. Ilyas noted that the PRP stands ready to deepen experience exchange with the CPC in state governance and administration to build Djibouti-China relations into a model of relations between China and African countries.